On April 15, the U.S. Environmental Protection Agency (EPA) released a series of technical white papers addressing five topics regarding methane and volatile organic chemical (VOC) emissions in the oil and natural gas production sector. The technical papers address compressors, emissions in completions and ongoing production, leaks, liquids unloading processes, and pneumatic devices. These technical papers build upon the Methane Strategy that the White House released last month, which outlined efforts that federal agencies, including the Pipeline and Hazardous Materials Safety Administration (PHMSA), will take to monitor natural gas pipeline systems and to ensure that leaks and accidental releases are minimized or eliminated. Input on the papers is due June 16, 2014. PHMSA extends deadline for TAG grant applications until April 30. PHMSA has extended the deadline for submitting applications for a Technical Assistance Grant until April 30, 2014. TAG grants are designed to support the pipeline safety-related activities of local communities and non-profit entities. PHMSA convenes workshop on class location and gas transmission integrity management. On April 16, PHMSA hosted a workshop to discuss whether applying gas integrity management (IM) program requirements beyond high consequence areas would mitigate the need for class location requirements. The presentations of PHMSA officials, state regulators, and industry representatives are here. Status of PHMSA Rulemakings. The table below reflects the most current, publicly-available information on the status of PHMSA rulemakings as reported in the Department of Transportation’s (DOT) April 2014 Significant Rulemaking Report. Additional information from the Office of Management and Budget’s (OMB) Office of Information and Regulatory Affairs (OIRA) is here. 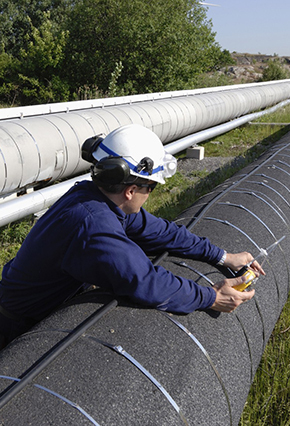 DOT’s April Report includes additional information on the status of PHMSA’s efforts to issue comprehensive new proposed safety rules for hazardous liquid and gas pipelines. According to the Report, since 2012, PHMSA has sent its notice of proposed rulemaking (NPRM) for hazardous liquid pipeline safety to DOT’s Office of the Secretary on three occasions, and the NPRM was last returned to the Secretary for review on March 7, 2014. PHMSA sent its initial version of the gas transmission NPRM to the Secretary’s office for review on March 12, 2014. Owners of Midla Pipeline reiterate safety concerns in FERC abandonment proceeding. On April 18, American Midstream, LLC (Midla) responded to objections to its application to the Federal Energy Regulatory Commission (FERC) for approval to abandon portions of its natural gas pipeline in Louisiana and Mississippi. Midla's response reiterates the company’s concern about the safety of the pipeline, arguing that it has deteriorated to the point where Midla cannot guarantee safety and reliability. Pennsylvania DEP proposes rules for certain gathering lines. The Pennsylvania Department of Environmental Protection (DEP) has proposed regulations that would apply PHMSA's corrosion control requirements in 49 C.F.R. Parts 192 (gas) and 195 (hazardous liquids) to gathering pipelines. The DEP has solicited public comments and hosted public hearings on the proposed regulations. PG&E pleads not guilty in criminal case following San Bruno incident. On April 21, officials for Pacific Gas & Electric Co. (PG&E) entered a plea of not guilty to twelve counts of violating the federal pipeline safety laws.